I've been meaning to try this for a while, after many people emailed it in over the last few months. I finally sat down with it this weekend to give it a good run and honestly, I'm pretty impressed. While it claims it is "designed for elementary OS" it of course works across different distributions. One issue I wasn't particularly fond of, is how it becomes unresponsive on the first big sync of your games. I own a lot, sure, but that's going to need a pretty big improvement as I honestly thought it had crashed on me. Once settled though, it really is quite nice and makes it super easy to manage games across different sources. 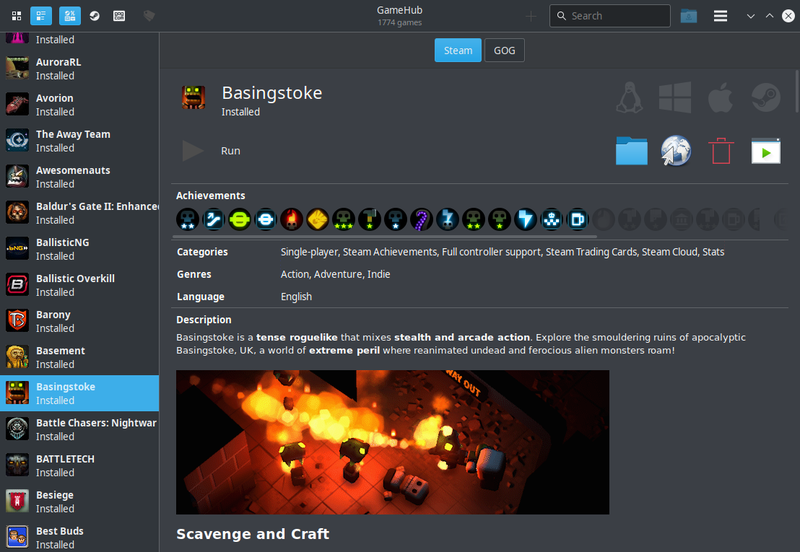 Outside of the usual stores, it also offers up support for running games through Wine/Proton, DOSBox, RetroArch and ScummVM as well so there's quite a lot of options available to you. 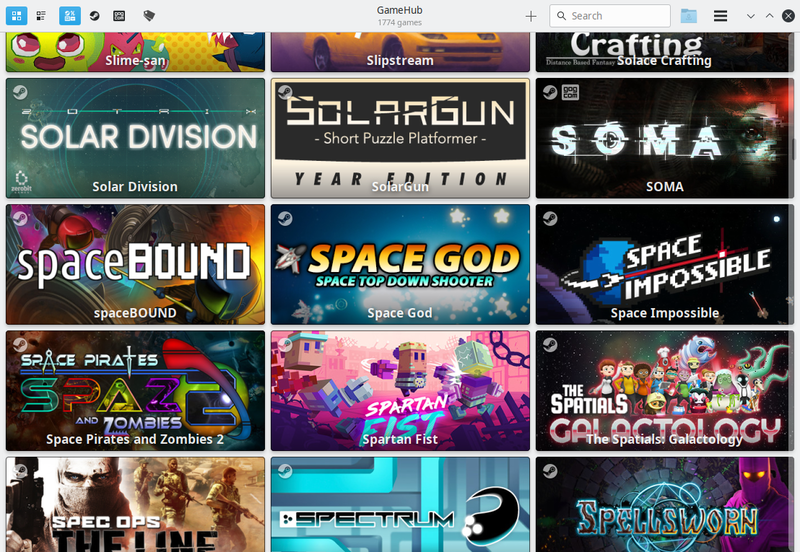 One of the major differences between GameHub and Lutris, is that GameHub will show your entire library from stores unlike Lutris where you specifically search for and add games. GameHub had no problems detecting all my games and showing if they were already installed in the case of Steam, complete with the achievements as you can see in the above pictures. I wasn't able to get it to pick up GOG games on a specific drive though, although I could manually import installed GOG games with a couple clicks so even that worked out okay. Find it on GitHub here under the GPL. They make it real easy to try too, since it offers up a deb, AppImage and a Flatpak. "I hear you like launchers, so here's a launcher for your launchers!" I was first gonna say "argh, why???" 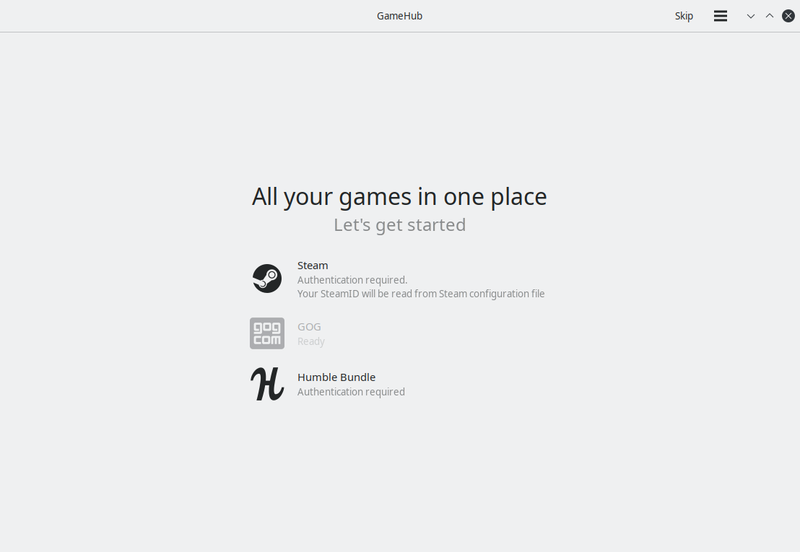 but seeing the thing where it imports from humble and gog, that is pretty handy! will try it out. Oh sweet! Is it controller friendly? For couch gaming, something like this would be pretty nice. Still waiting for one of these game managers to have Itch integration. Mohandevir Oh sweet! Is it controller friendly? For couch gaming, something like this would be pretty nice. Yup. The beta branch has had controller support for months. Sadly most people wouldn't look at anything that isn't Lutris, because apparently choice is only good when it comes to your OS ;). The integration of Humble sounds awesome. Lutris never worked for me comfortably, so it is good to have an alternative! Can it sync multiple Steam accounts? From what I read and understand, ElementaryOS is an Ubuntu derivative? I wouldn't be affraid to try it, at least. Nezchan Still waiting for one of these game managers to have Itch integration. 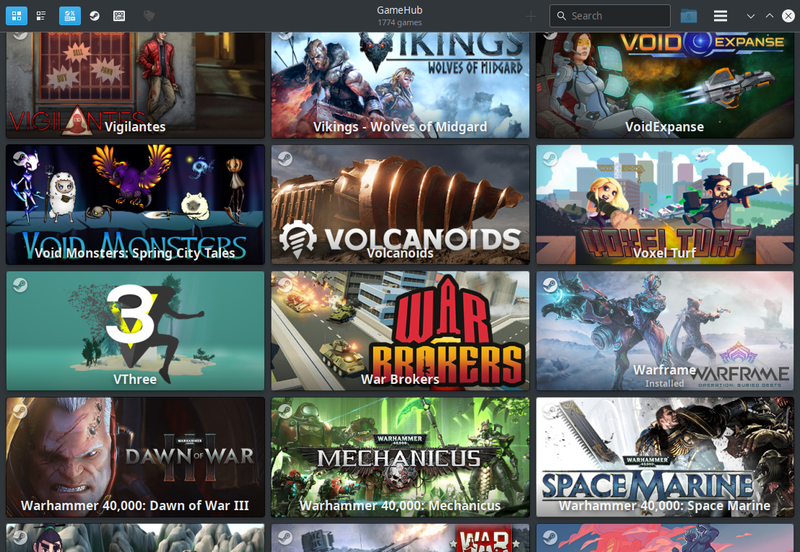 That would be neat if it can also filter by native Linux games. The itch app has unfortunately become quite cumbersome to use, since it just lists everything you own, which can be a lot of Windows games if you bought any of the for charity mega bundles.